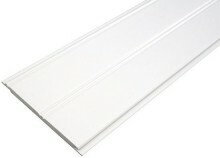 With the technological breakthroughs in recent years in PVC extrusions, we now offer a new range of pre-finished vinyl PVC mouldings and beadboard wainscot kit. An infinite array of decorating possibilities by beautifully reproducing the look wood without having to paint or worry about humidity or water damage! When comparing our product to Polystyrene, inexpensive, low quality alternatives are just that. 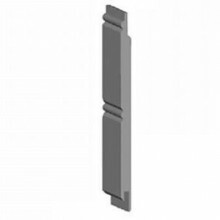 For example, mouldings made from Polystyrene easily mark and dent and are actually flammable. Here is the chart comparing our Patented Engineered Vinyl compared to the others. *within the continental USA, and Major Canadian Cites.